Samsung’s next smartwatch is expected to launch alongside the Galaxy S10 flagship later this month during the Unpacked Event. Expected to be called the Galaxy Watch Active, the successor to 2017’s Gear Sport will differ from the latter in a few major ways, if a new report is to be believed. According to SamMobile, the forthcoming wearable will feature a smaller 1.1-inch display compared to Gear Sport’s 1.2-inch screen. What’s more surprising is that the smartwatch won’t come with rotating a bezel ring. If this comes out to be true, it’d be interesting to see how Samsung plans to convince users to adapt to touch interactions on a (relatively) small display. 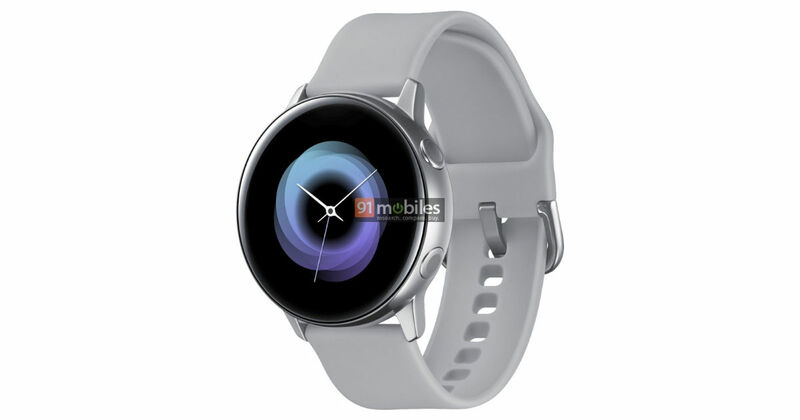 Some of Galaxy Watch Active’s specifications were recently revealed via firmware files. Combined with the latest report, we can be certain that the smartwatch (model number SM-R500) will be powered by a dual-core Exynos 9110 chipset which is paired with 4GB of RAM. Samsung won’t be offering mobile data support with the watch, and instead, it will work over Wi-Fi, Bluetooth 4.2 and NFC. Based on Tizen (version 4.0.0.3), the device is said to introduce support for Bixby Reminders. The device is also rumoured to feature water resistance of up to 50 meters, which is the same as its predecessor. The device is tipped to sport an AMOLED display with a resolution of 360×360 pixels and will be 13mm thick. As per reports, the battery on the upcoming is rated at 230mAh, lower than the 300mAh pack on Gear Sport. But on a brighter note, Samsung will ship it with a redesigned charging cradle on which you’ll be able to juice up the watch by placing it horizontally rather than at a 90-degree angle.